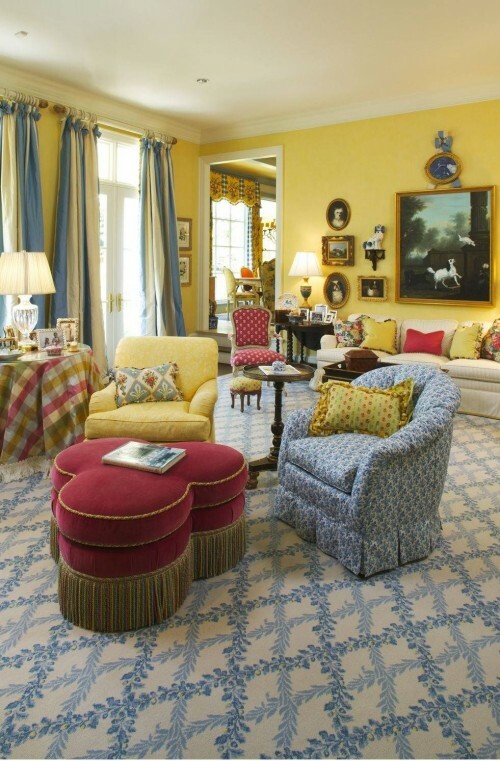 My Pastel Punch post from last week introduced me to North Carolina-based Nancy Taylor Lynch Interior Design by way of reader Molly who let me know that one of the pictures I posted was from Nancy's design firm. Thanks Molly! I took a gander at NTLID's website and absolutely loved so much of their work - it is quintessential traditional Southern style. I am so drawn to this style because I always use it as my foundation. Though my own home and design plans may not end up quite as traditional as these spaces by Nancy and her team, I think I always start with "Southern traditional" and inevitably mix in other styles that I like. Do you have a design style that you feel is always your starting point? 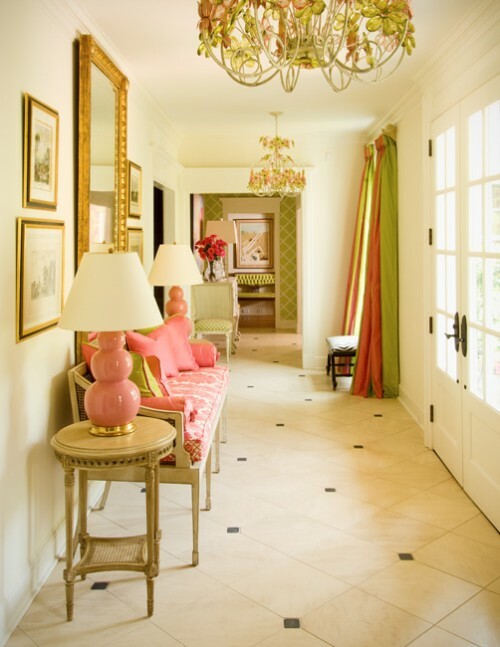 Now that's a lady that knows how to infuse some pink into a room! Beautiful spaces!!! what beautiful colors. Looks so airy. Yes!! The pink and green is my mom's friend's house! The house is even more amazing in person! !